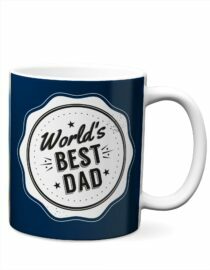 Create your very own masterpiece for your office space, kitchen counter, or your wall! Our desktop canvas prints come with an easel back for easy display anywhere your heart desires. We also include hardware to hang your canvas so redecorating is simple no matter where you want your favorite photo displayed. Picture perfect! 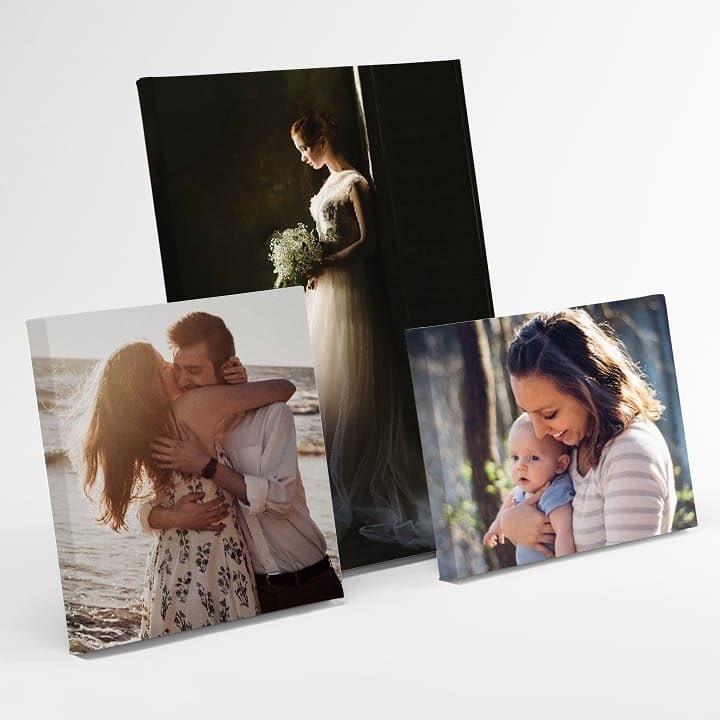 Create your very own desktop canvas art with our desktop canvas prints. 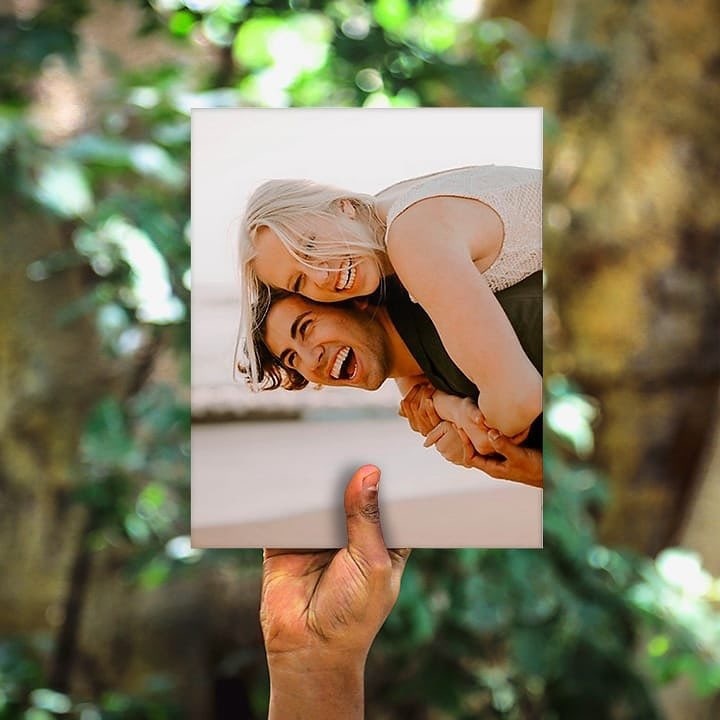 Customize this beautiful 5″ x 7″ or 8″ x 10″ canvas with a favorite photo — vacation shots, wedding photos, family portraits, and more! 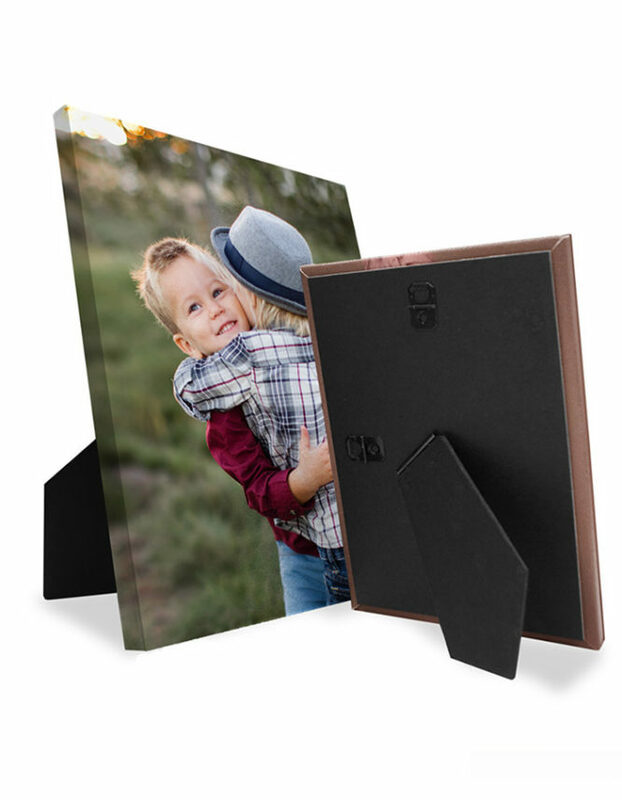 The canvas has an elegant finish to highlight and protect your photo. 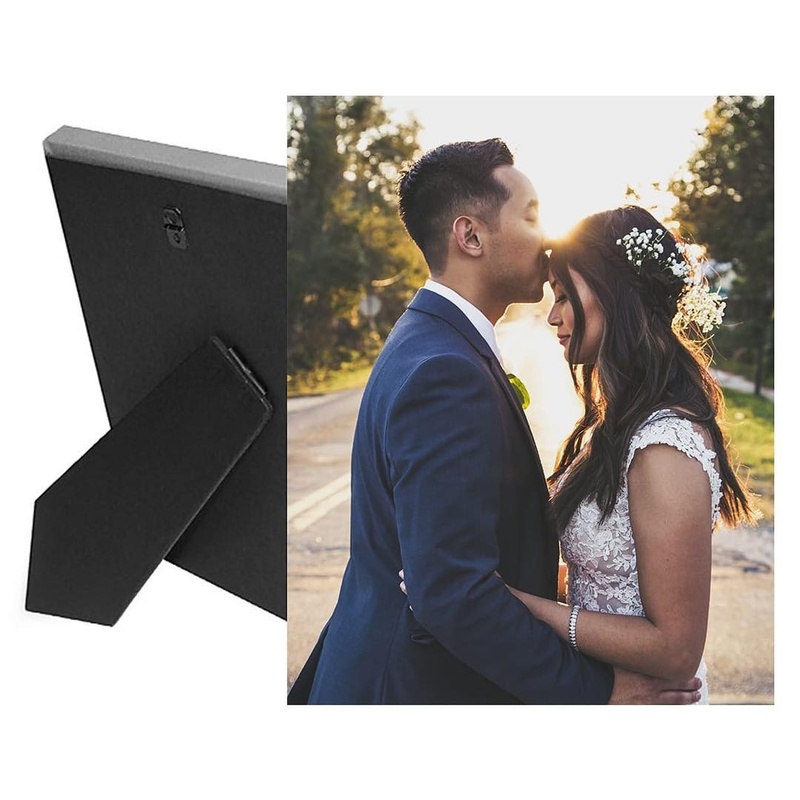 Features a .5″ gallery wrap, impact-resistant construction, perfectly flat corners, and a solid back. 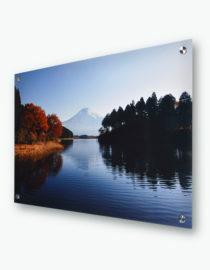 Canvas For Your Desk & Your Wall! 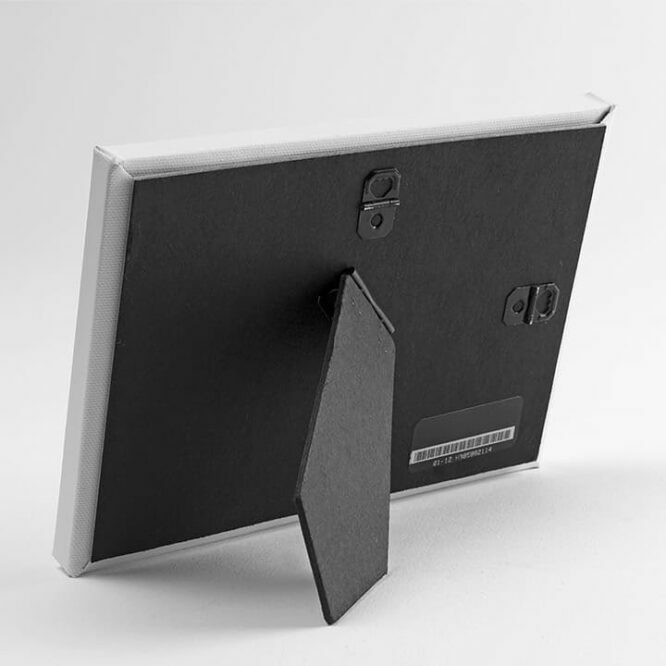 Comes with a built-in easel stand for desktop, counter, or mantle display and hinged hardware for wall hanging. Love these! Printed a 5×7 photo of my daughters at this year’s pumpkin patch and it turned out amazing. Looks great on my desk.